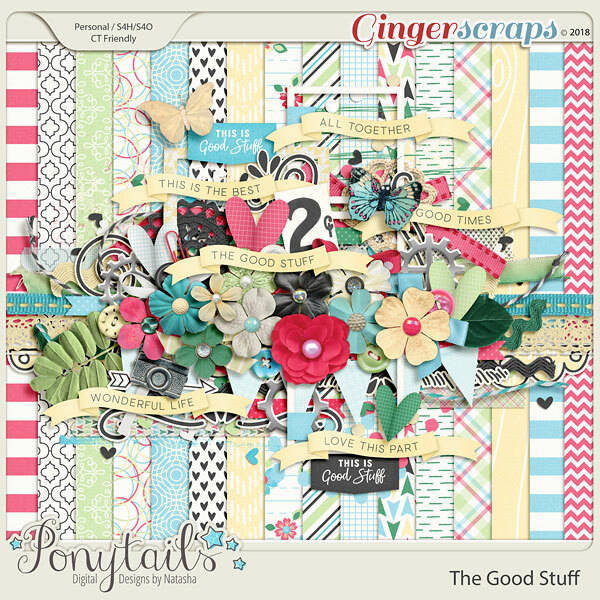 July has arrived so this means that The GingerScraps Buffet is now open and ready for your viewing/inspiration/crafting/and purchasing pleasure! 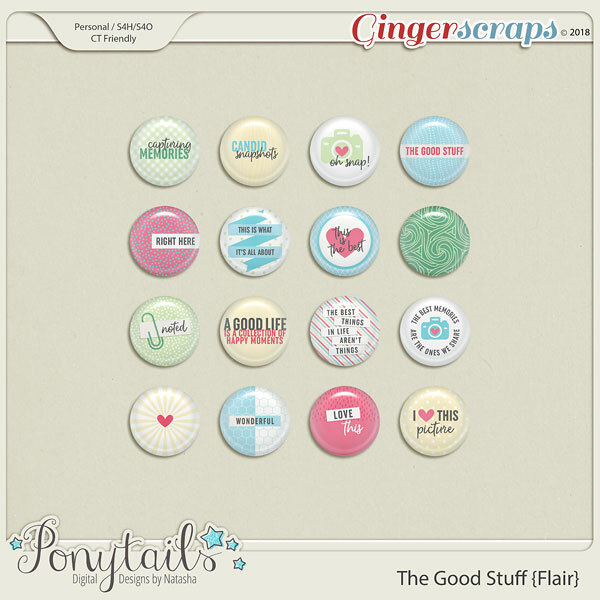 Ponytails Designs has designed an awesome kit for the July Buffet to show off those Good Times in life. 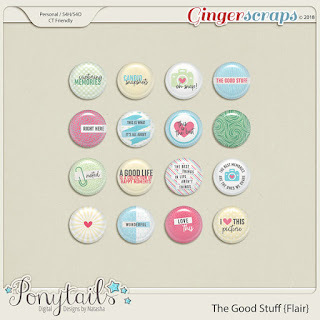 There are so many word bits and pretty pieces that you can turn to this kit again and again to showcase any special moment…. 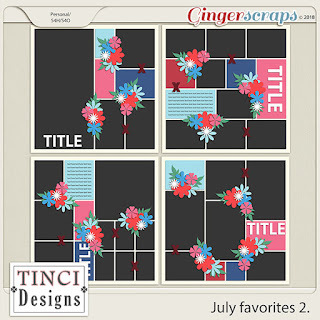 Tinci Designs’ July Favorites 2 is another Buffet offering. July Favoites 2 is a pocket style template set with photo place holders big and small to add some height to your pocket pages….